The former Rookie of the Year will most likely serve as a depth piece on the roster. Now before you go rage and hate on the Houston Rockets organization, mainly general manager Daryl Morey, this is by no means a move to either replace Trevor Ariza or catch up to the Golden State Warriors after they shockingly signed DeMarcus Cousins. Former Rookie of the Year Michael Carter-Williams will mainly serve as depth behind Chris Paul, James Harden, Eric Gordon, and anybody else they add. Basically, he will take over Aaron Jackson's spot on the roster last season. Haven't heard of Jackson? Exactly. 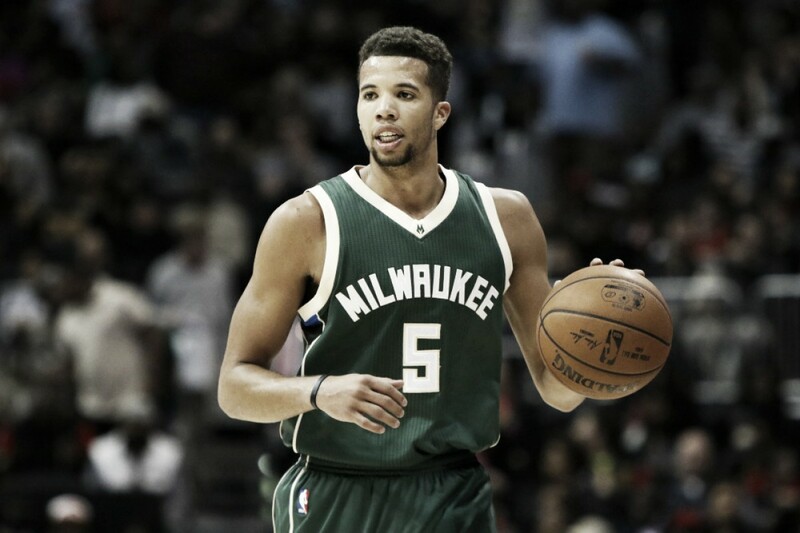 Since his great rookie season, MCW has been less than stellar, bouncing throughout the Eastern Conference. Last year, he averaged 4.6 points, 2.7 rebounds, and 2.2 assists per game in 52 appearances for the Charlotte Hornets. His contract is just 1-year, $1.8 million. As for other players the Rockets could target, Wilson Chandler, a player the team has targeted since before the last trade deadline, was shipped to the Philadelphia 76ers. Jeff Green also just got signed by the Washington Wizards. 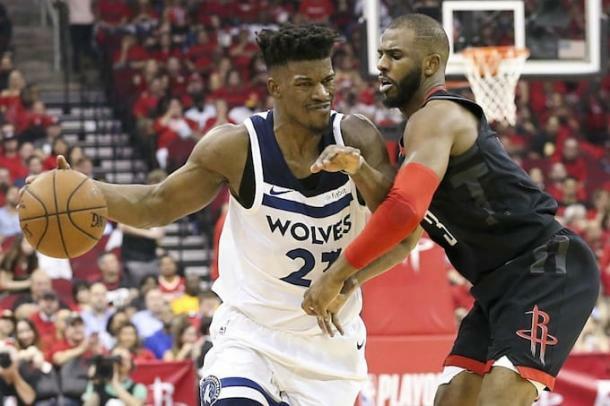 Now there's positive news in Jimmy Butler's frustrations with the Minnesota Timberwolves: he wants out and will not sign a long term extension. The T-Wolves may opt to trade him early before he causes locker room issues. Butler also happens to have grown up in Houston, so the city may be a desired destination of his. Jimmy Butler, a premier defender, would help the Rockets tremendously in their quest to dethrone the Warriors. Sadly, the asking price is too steep for a Rockets team that lacks trade pieces. Photo Credit: USA TODAY Sports. But before your hopes soar, he would have to be traded. To remotely afford his contract, the Rockets would have to ship away Ryan Anderson's contract or not resign Clint Capela. Assume the organization doesn't want to do the latter, it will take more than every single trade piece the Rockets have to convince the Timberwolves to take Anderson's ludicrous contract. Therefore, the only chance is a sign and trade where Butler goes from making millions to receiving a contract similar to Cousins'. Sadly, I doubt Butler cares that much for a homecoming. Rumors are that he's interested in teaming up with Kyrie Irving in Boston. Honestly though, maybe Rocket fans should root for that to happen, so some team has even a remote shot of punishing the Warriors for ruining the NBA for at least the next season.